For the twelfth year in a row, the Bonita Blues Festival is a generous sponsor of Music For Minors. We are truly grateful to them for all they do for us! The Bonita Blues Festival was held on Friday, March 8 and Saturday, March 9, 2019 in Riverside Park. 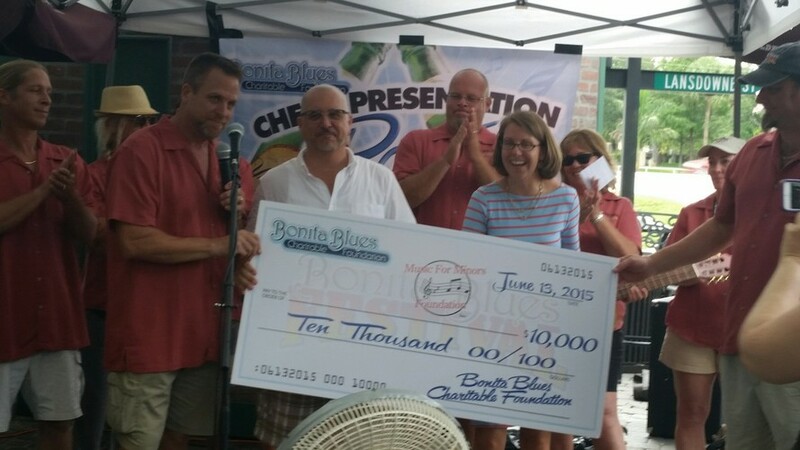 This year, the Bonita Blues Festival donated $8,000.00 to Music For Minors! Visit their website at www.bonitablues.org for more information. This year's Bonita Blues Festival will be held on Friday, March 6 and Saturday, March 7, 2020. 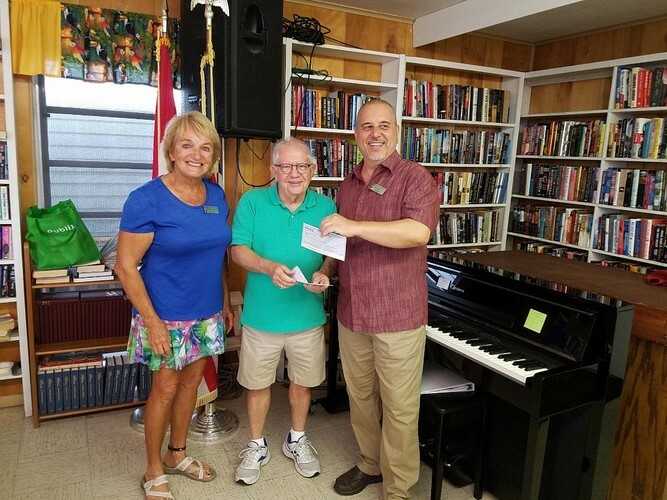 This year, for the tenth year in a row, the South Florida Blues Society donated $500 to Music For Minors, and will do so every year that we are sponsored by the Bonita Blues Festival. Our thanks to Mr. Bob "Bluesbobby" Weinberg and everyone involved with the South Florida Blues Society! Visit their website at www.soflablues.org for more information. The Stardust Memories Big Band is now a regular sponsor of Music For Minors! Each year, after their park season concerts are over, generously award us some of the proceeds from the concerts. In the past two seasons, the Stardust Memories Big Band has donated $2500 to Music For Minors! Visit their website at www.stardustmemoriesbigband.com for concert schedules and band information! Music For Minors Foundation would also like to thank the Tsaggaris Family Foundation for its continuing annual support. For the past two years, they have supported us with a generous $500 donation. We truly appreciate their support and friendship! Music For Minors wishes to thank the Bonita Village String Band for its annual support. They collect a free will donation at all four of their concerts during season, which they then donate to us. They have been supporting us for the past six years. Recently we received a check for $1260 from them! MFM Vice President, Dr. Becky Kimberly (L), and MFM President Don Rhynard (R), receiving a check from Mr. John Schuler and the Bonita Village String Band! We would like to thank Mr. John J. Davis CPA at Davis & Associates for taking care of all of our bookkeeping needs for us! Visit their website at www.johndaviscpa.com.